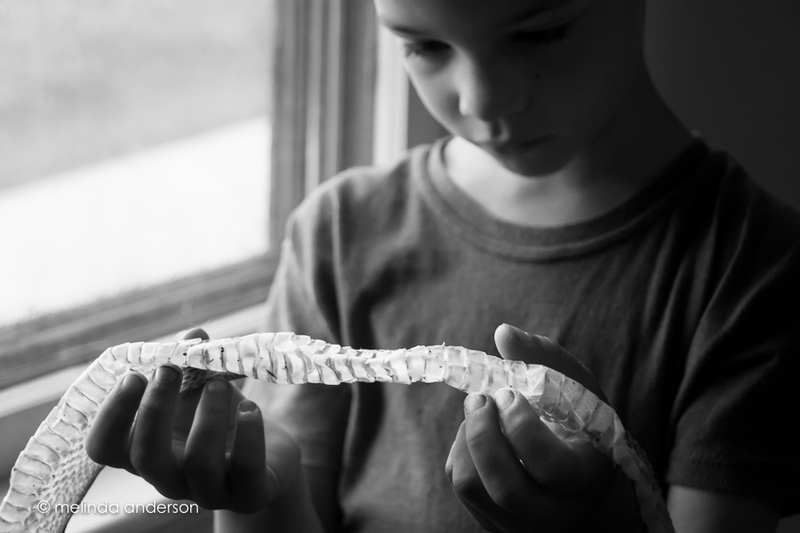 My daughter and husband took a walk while we were at Yellowstone and came back with a snakeskin they had found. Despite being a little grossed out, I was fascinated with the textures and patterns and couldn’t resist taking a few photos. Miles was fascinated as well. I am hoping this is the last time I photograph anything related to snakes. This entry was posted on July 6, 2015 by Melinda. 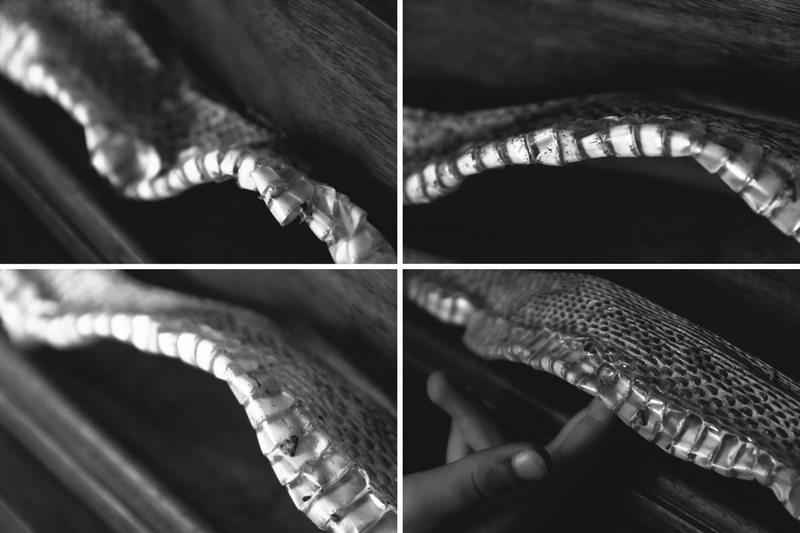 It was filed under black and white, family, grandkids!, nature and was tagged with black and white, monochrome, photography, portrait, snake, snakeskin. 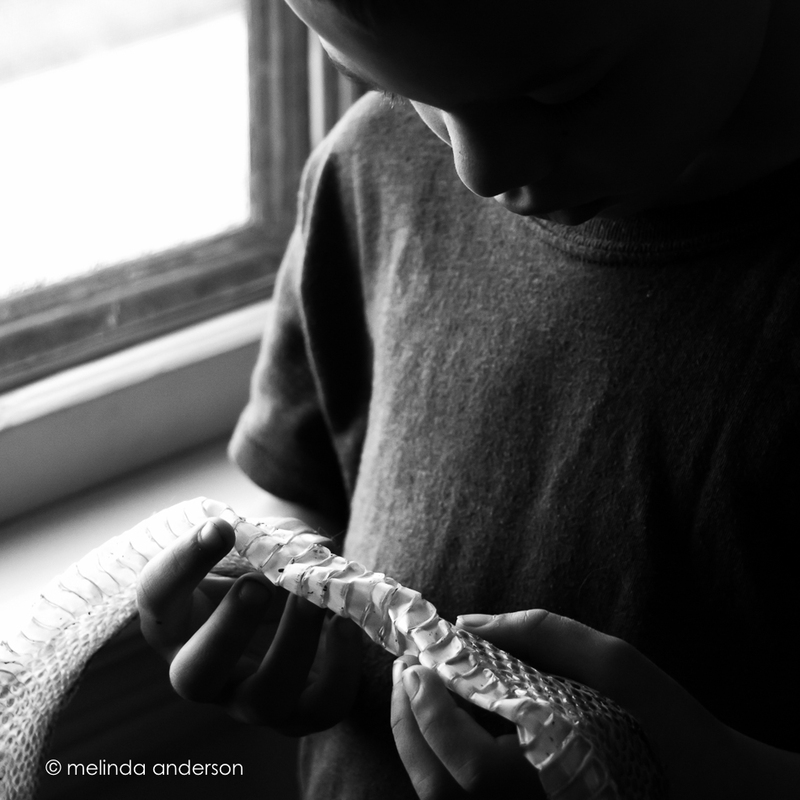 Love the human touch images here Melinda and this is an all boy moment. While we girls may not appreciate snakes, and some me also they are a part of nature, ugh did I just say that? I hate them as well and I sure live in the wrong area. I found one in my yard a skin last year, creeped me out and funny my daughter brought it inside for my GD to see. I have to agree with you, not LIKE. But it does make for a memory which to me is what photography is all about.